We've got a team of multidisciplinary artists to lead exciting and informative workshops designed for kids and teens. We offer workshops ranging from 3-8 sessions and custom built content that adheres to the curriculum. Students will learn the skills necessary to take risks, be confident, think on their feet and have fun in both the classrooms and in their own creative adventures. With over 10 years of combined improv experience and a CIG National Gold Medal under our belt, we are more than prepared to teach your class the 5 core concepts of improv. Through games and rigourous play, we will teach you to perform spontaneously and think on your feet. Discover your inner naivety in our clown workshop! Since clown deals with direct contact with the audience, this workshop will teach students to be self confident, vulnerable, and give them the freedom to look foolish. Improve your acting skills in our scene study workshop, led by Toronto director & playwright Massimo Pagliaroli. Students are taught character development, how to break down a scene, and the importance of focusing on their scene partner. Students are introduced to our five core concepts of improvisation. Through a series of fundamental games and group exercises, aimed at awakening the students innate joy in play, they begin to learn the skill of thinking on their feet. In this workshop series, students build upon the core concepts of improv and are introduced to the improv events of story and theme. They learn to think outside the box, commit to choices, and improvise an entire scene with a beginning, middle, and end. Students learn the five core concepts and implement them into theme and story events. 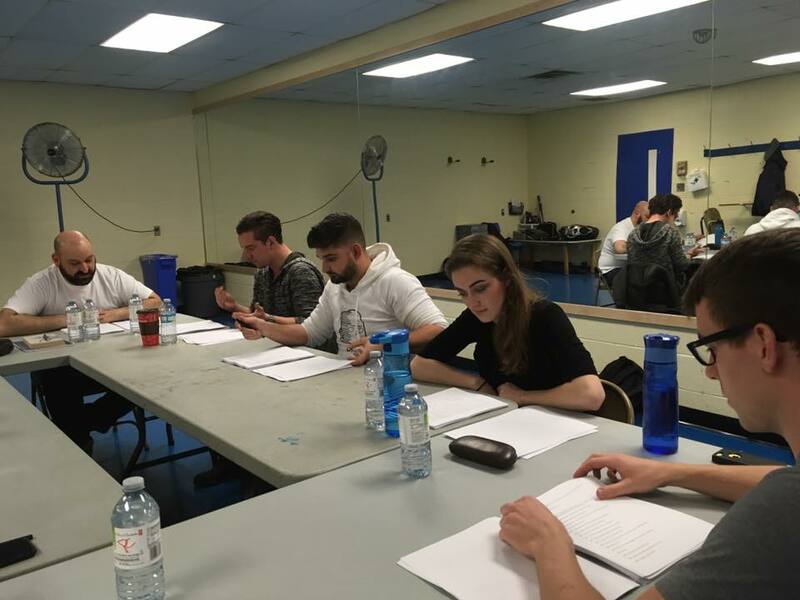 The instructors begin the process of fine tuning the students scene crafting abilities by providing detailed feedback specific to each student. With their newly acquired skills, they develop and perform a showcase for their peers. Students learn the basics of clowning through group exercises that focus on finding each individual student’s pleasure to play. They will begin the process of learning to be vulnerable on stage and make contact with the audience. After learning the basics and finding a connection with the audience, students have the opportunity to improvise on their own in their chosen clown personas. Students begin to learn to trust their feelings and that the more fun they allow themselves to have the more fun the audience has. Students discover their clown and the audience through individual and group exercises that focus on contact with the audience and putting thought into action. They form groups or duos and begin to improvise together. The instructors then give feedback to each group with the ultimate goal of creating a series of 1-2 minute repeatable sketches that the students organize into a performance. After reviewing acting terminology and stage positions, students will be introduced to the core concepts of acting—relationship, conflict, and action—and the process of breaking down a scene into beats and tactics. Segments of scenes from published material will be performed by students to help illustrate each fundamental of acting. Students will be asked to pair off and rehearse scenes of their own choosing. In addition, they will be assigned the task of breaking down, rehearsing, and performing multi-character scenes.Students will then explore the concepts of pace, simplicity, and consistency, as well as exercises in the analysis and performance of monologues and soliloquies.